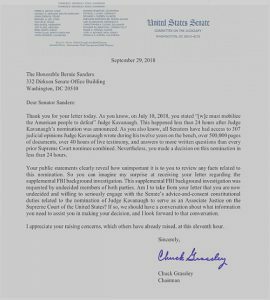 I don’t think Bernie will answer Sen Grassley anytime soon. This letter should effectively end any thoughts Bernie might have about 2020. But then again, look at the people that voted for him 2 years ago. They’re oblivious to reality also. 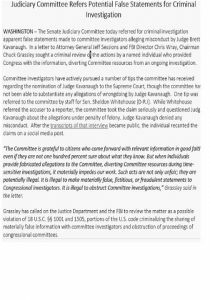 The “Doxer” Democratic staffer, Jackson Cosko, who released the details on Senators during the Kavanaugh hearings also was found to have cocaine and methamphetamine during a search of his things, and may have been under the influence when he broke into the Senate offices.